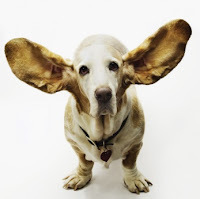 Article: 5 Little Things That Make a BIG Difference as a Leader - Part 2: Listen Up! This is the second part of a five part series about the little things a leader can do that could make a BIG difference in how they are perceived as leaders. I have bad news and good news for all of you leaders and aspiring leaders. You decide which you’d rather read first. Start with the good or jump to the bad and come back. The ability to listen has been identified in study after study as one of the most important leadership skills – if not THE most important – than any other. Listening is one of the EASIEST leadership skills to learn and apply! We were born with the ability to listen. It’s a natural gift. Most people already know how to listen, and when they choose to, can do it very well. If you want to listen, but for some reason you really don’t know how, no worries. All you have to do is keep your mouth shut. Then, listen like the CEO is talking to you. Or like you're on a first date. If that doesn’t work for you, then there are plenty of books , videos, courses, and blog posts with excellent, proven tips. No need to repeat them all here. With a few tips and a lot of practice, you’ll be astounded with the results. Talk about little things that will make a BIG difference – what other skill could give a little this kind of return on investment? Give it a try. Sit back and watch your relationships improve – at work and in your personal life. Listening is one of the lowest rated leadership skills for executives. It’s an average rated skill for individual contributors and managers, then takes a nose-dive for executives. It’s one of the most common flaws I see on 360 assessments. It’s the number one reason employees think their bosses are jerks. The botom line: poor listening is a significant contributor to executive derailment (failure). …..and eventually, if not addressed – you’ll go down in flames. If you’re seen as a bad listener, in most cases, it’s because you’re making a CHOICE not to listen. To be blunt, you’ve gotten so full of yourself (due to your success), that you don’t have the interest or patience in what most people are saying. If you don’t believe me, try asking for feedback. Ask the people in your life that matter to you how well you listen - and what it means to them when you don't. If this little scolding has already caused you to see the light, then go back to the good news. There’s hope for you. Good luck! This has been in my reading pile on instapaper for a week or so but I hadn't got around to reading it yet. Then, this morning I had some appraisal training, and listening was one of the areas we covered and tried during an exercise. The exercise was enlightening, and made me appreciate just how important both listening, and choosing the right kind of question to ask, is. So I figured I'd revisit the article and read it with my newly found insight. I nodded my head a lot, so thought I'd make a note of it here for me to come back to and revisit.